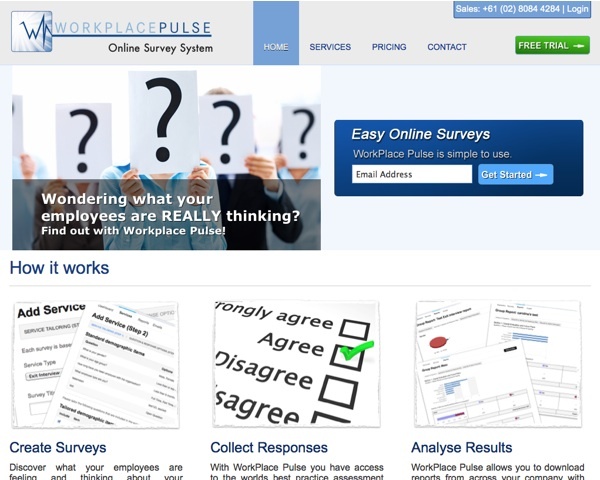 Workplace Pulse is a survey system that allows employers to obtain a deeper understanding of what employees are feeling and thinking about the organisation, its leaders and the direction the company is traveling. 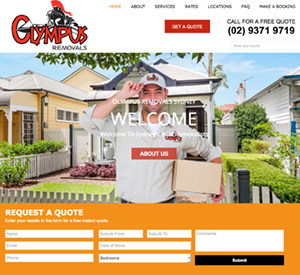 This completely self serviceable system uses the worlds best practice assessment and survey instruments to collect important data on entire organisations, and then easily breaks down that data into specific reports based on departments, people or objectives within an organisation, all with just a push of a button. 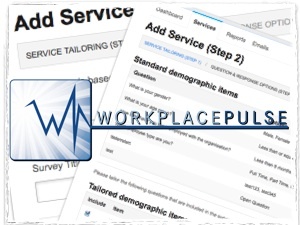 Unmatched in its functionality, ease of use and range of applications, www.WorkplacePulse.net is the leader in online corporate survey systems.